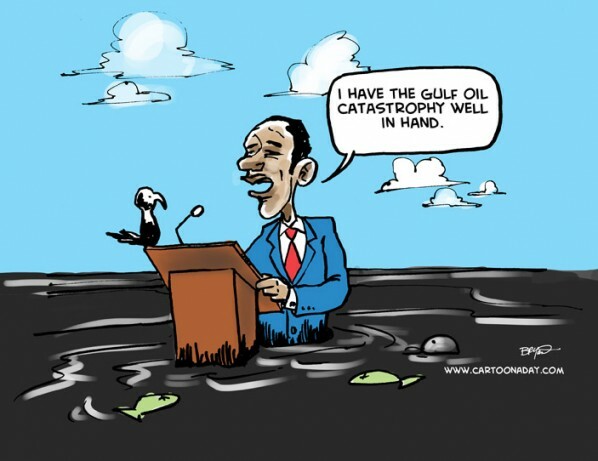 Yet another cartoon about the BP Gulf Oil leak. President Obama stands at a podium giving a speech. Obama is half submerged in what looks like oil.